Mitigating the situational factors that give rise to state boredom is a consistent challenge facing educators. Despite the growing amount of literature devoted to the construct, the field has yet to arrive at a consensus regarding a clear theoretical or operational definition. 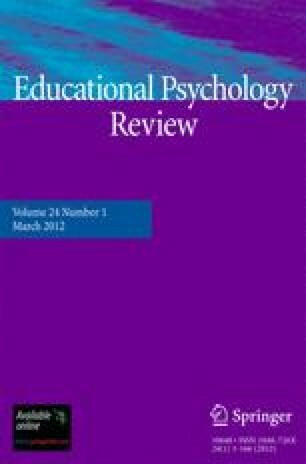 Subsequently, inconsistencies exist in the assessment methodologies, research findings lack generalizability, and strategies for mitigation in educational settings remain elusive. In this cross-disciplinary analysis, the extant literature on state boredom is critically reviewed and synthesized, and a two-dimensional definition of state boredom as an unpleasant (subjective), low-arousal (objective) experience is proposed. Findings from the technological advances of the last decade that allow for the objective measurement of physiological states are used to inform recommendations for empirically sound assessment methodologies. Finally, the proposed definition of state boredom and related assessment strategies are discussed with respect to implications for enhancing educational practices. Jennifer J. Vogel-Walcutt’s research focuses on increasing learning efficiency in complex environments, particularly within military domains, by creating strategies for more efficient training. Logan Fiorella’s research interests focus on applying principles of cognition to the design of multimedia learning environments, particularly within educational domains. Teresa L. Carper’s interests are centered around learning and adaption, particularly in military populations, and include examining methods for enhancing resilience to the psychological conditions associated with trauma. Sae Schatz’s research focuses on education and training for the Defense community, particularly higher-order skills training for military personnel (i.e., training the thinking skills associated with “cognitive readiness”). This work is supported in part by the Office of Naval Research Grant N00001410101. The views and conclusions contained in this document are those of the authors and should not be interpreted as representing the official policies, either expressed or implied, of the ONR or the US Government. The US Government is authorized to reproduce and distribute reprints for Government purposes notwithstanding any copyright notation hereon.